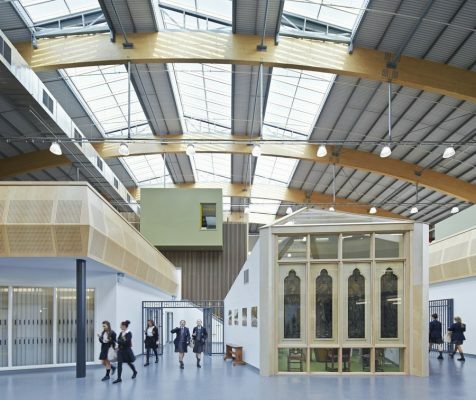 Designed by architects Sheppard Robson, the £15.3m Notre Dame Catholic College in Everton, Liverpool, is the first school delivered using an innovative design solution to create architecturally engaging schools on limited budgets. This approach, referred to as the Liverpool Schools Model, creates a flexible and economic architectural ‘shell’ in which individual interior components are added to create a mix of learning and social spaces bespoke to the individual school’s requirements. The result at Notre Dame Catholic College is a 950-pupil school – encompassing a sixth form as well as community music services and extensive landscaping – which was constructed in 56 weeks. The school was delivered for a total project cost of £1,459/m², which is particularly economic as this figure includes full FF&E, significant groundworks and retaining structures, and all consultant fees. 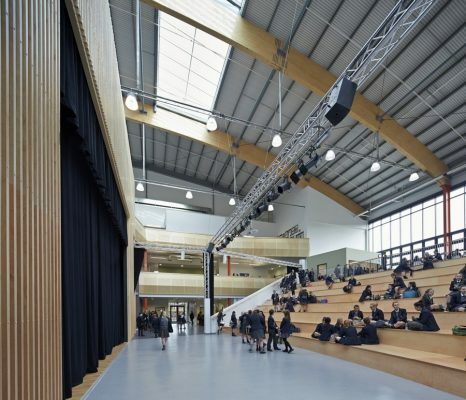 The design can be adapted and rearranged over the lifecycle of the school, with the clear-span ‘shell’ concept making it considerably easier to reconfigure the building for another function in the future. The design of the interior spaces is a careful blend of naturally lit traditional classroom spaces and more open, dynamic break-out and study areas. Cellular teaching spaces occupy three sides of the building encircling a more open central zone containing school specific functions such as performance space, amphitheatre, chapel and demountable classrooms. The north side of the building is generously glazed, allowing the school to embrace its parkland setting with strong visual and physical connections between internal and external spaces at all levels. 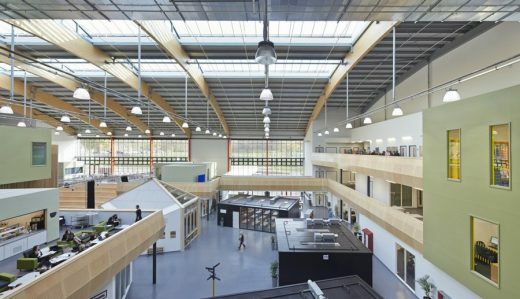 Internally, the building balances the social and pedagogic requirements of the school through the openness of its design which reduces the physical barriers between students and staff, helping foster a sense of community whilst also allowing for passive supervision. Contrasting with the open, lively nature of the central zone, classrooms are peaceful spaces where ventilation and natural lighting have been carefully considered to create the optimum conditions for focused work. 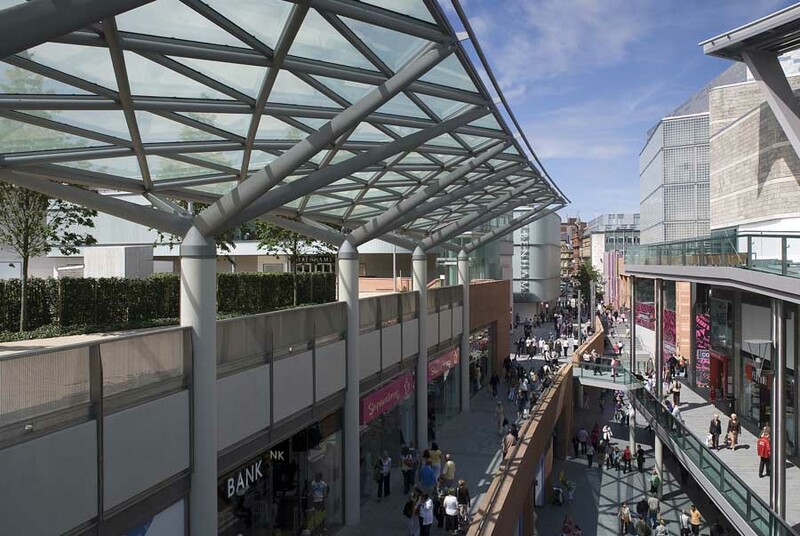 Within the main concourse the internal elements of the building are arranged as individual masses to create a ‘village’ of enclosed and open spaces. Timber finishes are used as accent pieces adding richness and – along with the glulam trusses – bring a unifying clarity to the whole composition. 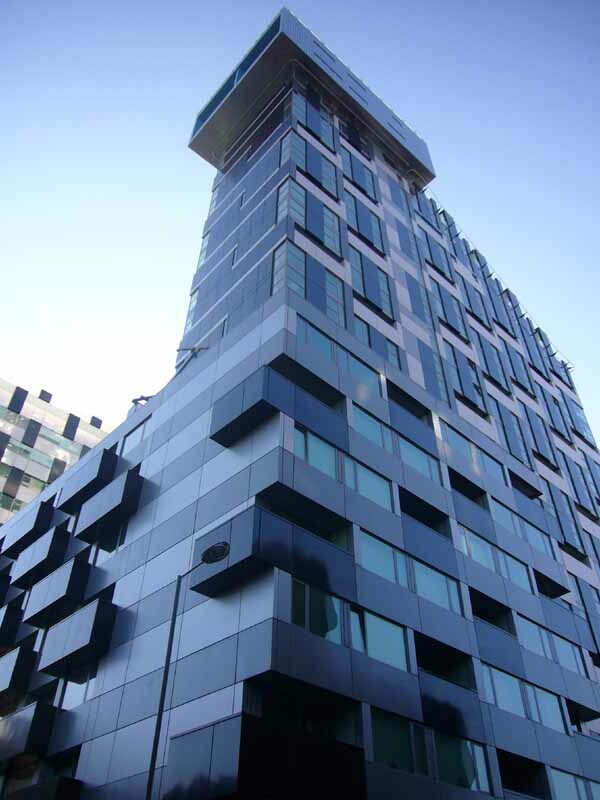 The site occupies an important regeneration area at the edge of Liverpool city centre and externally the façades of the building are split into two zones: the lower area of dark brick and curtain wall glazing acts as a plinth to the upper zone of pearlescent two-tone metal cladding. 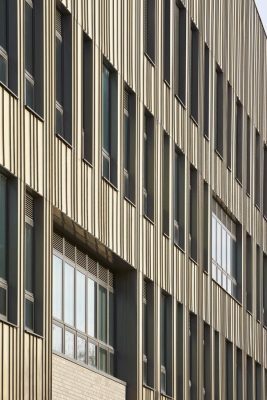 Set within the metal cladding – which changes colour from green-grey to gold depending on the light – are deeply punched windows that add a sense of rhythm to this lively façade. The project is the first completed scheme of Liverpool City Council’s Liverpool Schools Investment Programme. 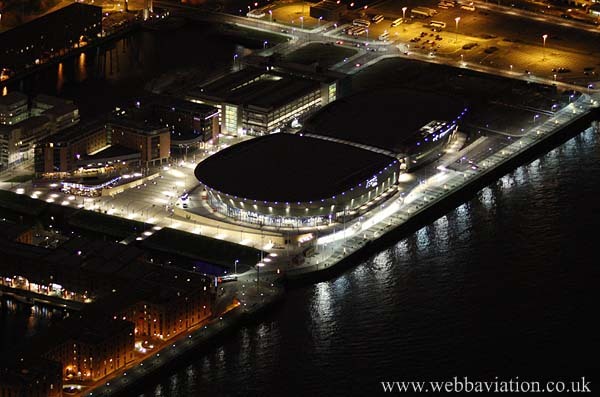 After the Liverpool Building Schools for the Future funding was stopped, Liverpool started the Investment Programme with the aim of building public assets that could easily be adapted to serve other uses in the future rather than bespoke schools. This aspiration led directly to the development of Sheppard Robson’s design for Notre Dame Catholic College. After Notre Dame Catholic College was opened on time and on budget in September 2013, Sheppard Robson began designing the second school on the Liverpool Schools Model – Archbishop Beck Catholic Sports College – which will be completed ahead of programme in July 2014, and open in September 2014. Contractor Willmott Dixon and Sheppard Robson have also been asked to design a third school – Archbishop Blanch School – which will use the same concept. The project has just secured planning approval and due to open in September 2015.